Moms we are in the busiest season, and for the next few months you will find yourself in overdrive. Between the holiday shopping, holiday preparations, parties, baking and so on! You will definitely run yourself ragged if you do not find time to “SLOW DOWN”. 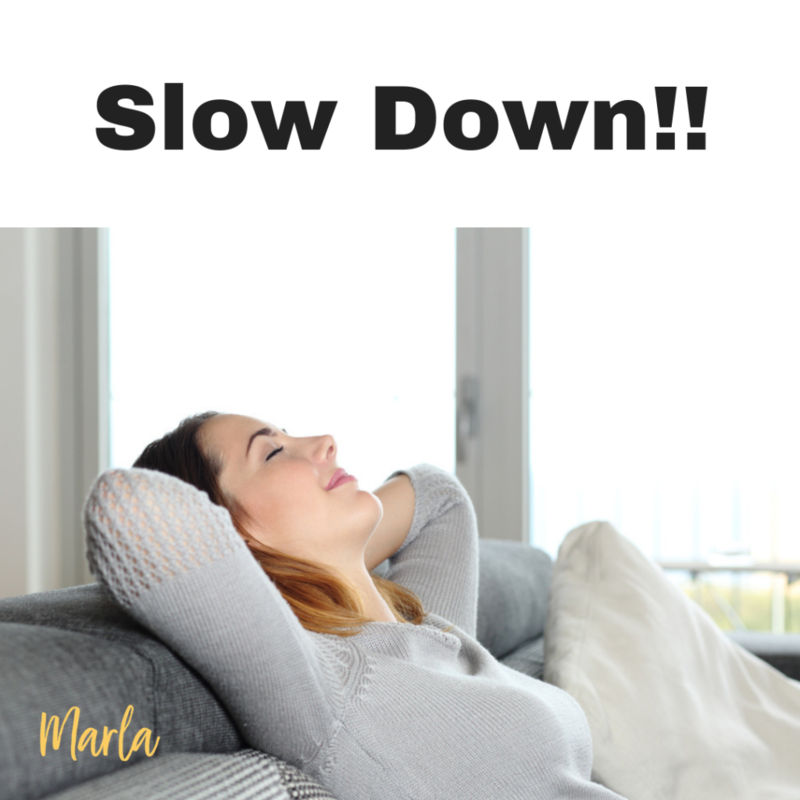 You want to enjoy your holidays, so I challenge you to find some time in your day, right after you get the kids off from school or a 1/2 hour before they come home to take 15 minutes for yourself and rest your head. That doesn’t mean read a book, look at a magazine or make your to do list. That means close your eyes, rest your head and slow down your thoughts.